The new year has kicked off, and we would like to take the time to reflect on our journey so far and share our thoughts on the two factors we believe will redefine the most important economic and political conversation of our time; the AI revolution and inequalities. 2018 has been an exciting year for us at InstaDeep, with many milestones. We’ve almost doubled in size, opened offices in Paris, Lagos and Nairobi, secured new funding (stay tuned for more info on this! ), and for the first time presented two AI research papers at NeurIPS. 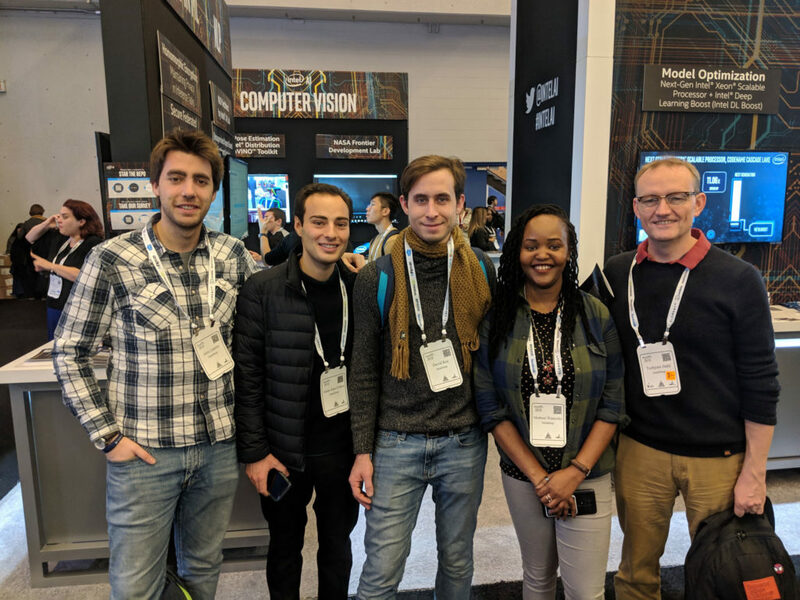 Presenting at NeurIPS 2018 was a proud moment for us, particularly as an African AI start-up. We showcased the papers ‘Ranked Reward: Enabling Self-Play Reinforcement Learning for Combinatorial Optimization’ in the Deep Reinforcement Learning workshop, and ‘Explicit Sequence Proximity Models for Hidden State Identification’, in the workshop Reinforcement Learning under Partial Observability. 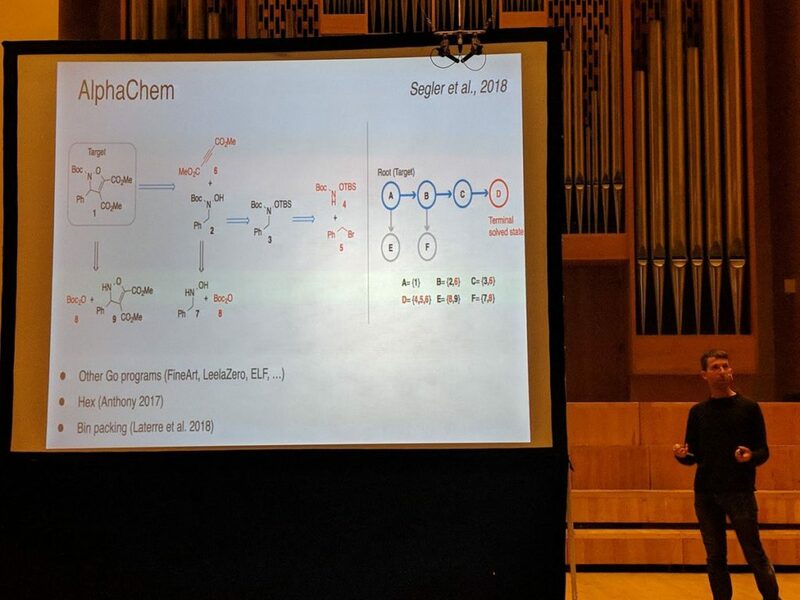 It was especially exciting to present at the world leading conference seeing we also got the chance to discuss our findings with exceptional researchers such as Julian Schrittwieser from DeepMind and Professor Richard Sutton. We also presented two posters in the poster session of the workshop ‘Black in AI’. 2018 saw us attend events the world over, including London, Silicon Valley, Stellenbosch, Montreal, and Tunis, allowing us to not only spread our footprint, but present our work, and share and exchange knowledge with fellow industry professionals. We co-hosted and sponsored an increasing number of events including Indaba, DeepQuest AI and various GDG DevFests and hackathon events — it’s been an honour to be part of them all, supporting talent and impressive research, something we are excited to continue in 2019. 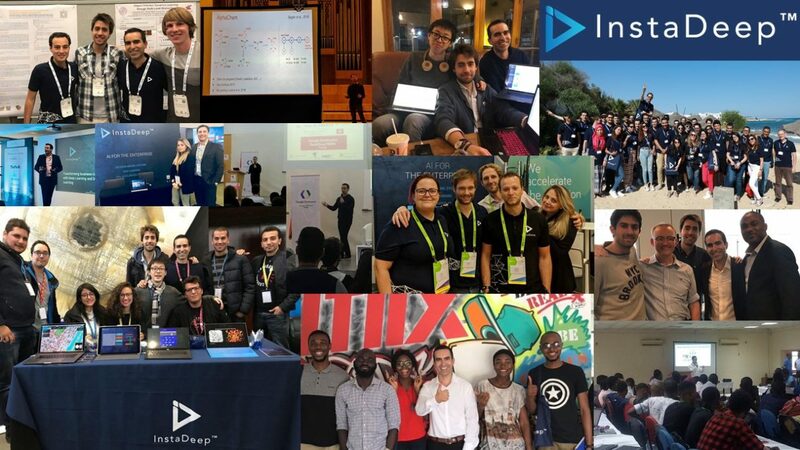 On that note, make sure you read Faten Ghriss’ blog post “Why I Loved Every Second At Deep Learning Indaba” on her experience as a newly joined InstaDeep’er at what she calls THE African Deep Learning conference. We have also had the honour of participating as speakers at a range of events. To mention a few; our Co-Founder & CEO Karim Beguir, spoke at NeurIPS about the uncapped opportunities we know exist for AI in Africa and how to seize them. He was also a speaker at the Nvidia GTC 2018 in San Jose, California, at the Google Developers Roadshow in Tunis, and mentored in ML/AI at Google Launchpad Accelerator Africa. Karim also had the honour of being the opening keynote speaker at the 2018 edition of Data Science Nigeria’s boot camp in Lagos. Further, our CSO, Bertrand Hassani, spoke about transforming business-critical operations with deep learning at the European Data Leader’s Summit in Barcelona, and our other Co-Founder and CTO, Zohra Slim, spoke at GDG DevFests in Carthage, Bizerte, and Beja. And it doesn’t stop there. Muthoni Wanyoike, our team lead in Kenya, spoke at DevCraftKE about our AI projects and the opportunities AI presents in Africa today. MeetUp also featured her on her work on Women in Tech and Machine Learning — make sure you check it out! 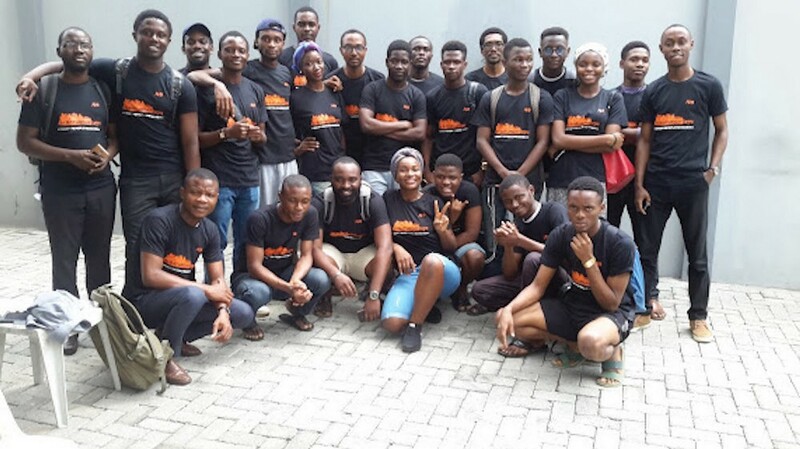 2018 was also the year our colleague, Tejumade Afonja, co-founded AI Saturdays Lagos — a subdivision of the global movement which aims to make world-class AI education accessible to all through focused study groups. She’s done a tremendous job and is a great inspiration to fellow researchers. We’re proud to have been featured in the press in 2018! In NextPlatform, we spoke about how AI and machine learning can help improve efficiency and business decisions, while Tech Weez wrote about our involvement with Women in Machine Learning and Data Science. Nvidia covered our founding story and determination to democratise AI in Africa, while the Google Cloud Platform Podcast spoke with Karim and Muthoni about AI Corporations and Communities in Africa. Another highlight and proud moment for us in 2018, was when AI legend David Silver quoted our work on Bin Packing, led by InstaDeep’s Alex Laterre, mentioning it during his Deep Learning Indaba lecture as a “Deep RL Success.” Mind blown. Last but, not least, we got nominated as an Endeavor company following a rigorous, multi-step international selection process. David Silver quoting our work in his Deep Learning Indaba lecture! When we started our journey five years ago, with only two laptops and raw enthusiasm, the concept of AI in Africa by Africans was non-existent. People would smile with disbelief at the idea that a young company could compete with tech giants in Machine Learning. Nevertheless, InstaDeep is today a fast-growing company with publicly acclaimed scientific research and an innovative product platform, bringing the many benefits of decision-making AI to enterprise customers. We are incredibly proud of the breakthroughs we made in the research space last year and are excited to continue our work this year. Our highly skilled colleagues are continually working to help solve the increasing pressure we see to adapt AI and machine learning solutions to business needs, especially in fields such as mobility, logistics, manufacturing, and energy. Through cutting-edge solutions, we are helping enterprises across Europe and Africa optimise workflows, improve efficiency and make smarter decisions to reduce cost and increase productivity. AI is the fourth industrial revolution, and similar to the steam engine, electricity and telecoms/internet, AI is set to have a tremendous global impact. By 2030, PWC estimates the AI market to be worth the current GDP of China and India combined. AI is likely to lead to more inequalities and wider wealth gaps between the AI “haves” and “have-nots.” The traditional route taken by developing countries to kickstart their development with unskilled human labour is shutting down. Combined, this will redefine the most important economic and political conversation of our time. It is therefore critical that the fruits of the AI revolution are wisely harvested and widely shared, and this is InstaDeep’s mission — to democratise AI and make it accessible to a broader audience. Every time we empower a project with effective next-generation AI, every time we hire, educate, or inspire young talents from any background to work and learn passionately to reach success, we feel we’ve made a difference. With this in mind, we go into 2019 filled with determination to continue our work as a leader in AI for the enterprise and keep building tomorrow’s products and solutions. We will attend multiple conferences and events, so do stay in touch via our social channels. You’ll find us on Twitter, LinkedIn, and Facebook. We are also always looking for great new colleagues to join our journey — if you are interested, contact us via hello@instadeep.com. Last, we would like to take the opportunity to thank all our partners, clients and friends for a cooperative and successful 2018. And also our amazing colleagues who’s worked incredibly hard throughout the year. Here’s to a healthy, prosperous and happy year for all in 2019!